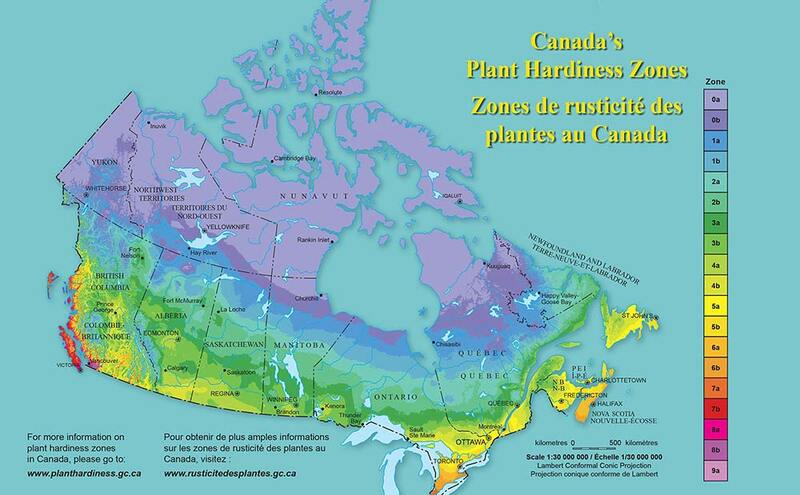 This Canadian plant hardiness map indicates where various types of trees, shrubs and flowers will most likely survive. It is based on the average climatic conditions of each area. To view a full interactive version of this map, visit the Natural Resources Canada Plant Hardiness website.